The Mercedes-Benz Parts Center maintains a comprehensive inventory of high-quality genuine OEM parts and aftermarket parts. Our highly knowledgeable staff is here to answer your replacement parts inquiries. Should we not carry the replacement parts for which you’re searching, we can always order it for you and receive it within a timely manner. There are a lot of ways to get expert advice about auto parts in Bend. 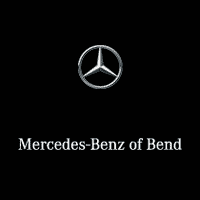 You can fill out the Order Parts form, give us a call, contact us online, or just come by our Mercedes-Benz location at 61440 S Hwy 97, Bend, OR 97702. Our auto parts department is open five days a week to serve you.